See Saw is a Raleigh based company focusing on applied theatre projects in the NC Triangle. 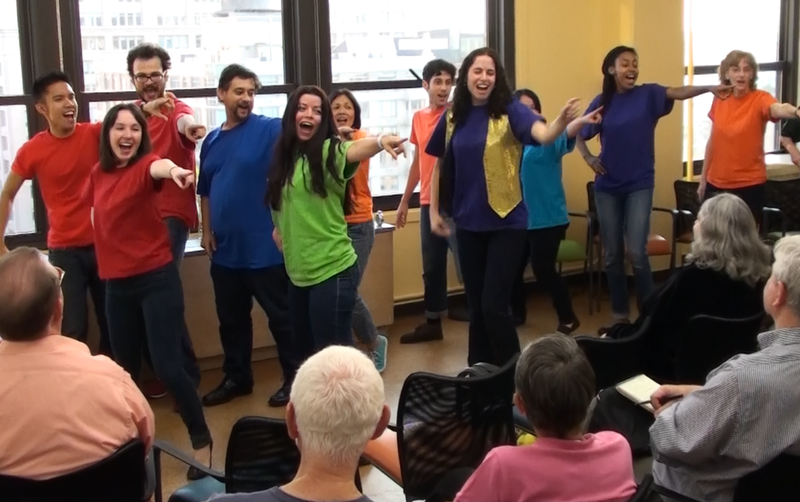 Applied theatre (AT) utilizes the dramatic arts as a tool for social change. AT intersects and engages many disciplines, such as public health, social work, education, urban planning, prison reform, business, and more. Often participatory, AT is practiced outside the traditional theater in community centers, prisons, hospitals, classrooms, and site specific locations (like farms!). We perform interactive pieces of educational theatre in schools and libraries. We hold storytelling workshops with seniors and use their stories to create a performance for them. Improv & Storytelling Workshops for Healing and Recovery. We work in the prison system, with the recovery community, or with any community who would benefit from interactive, imaginative performance workshops.